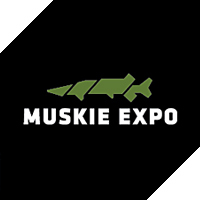 When it comes to fishing for an kind of species it’s all about one thing: be noticed, and the hunt for Esox is no exception! It doesn’t matter what type of angler you are, we all serve one purpose on the water, and share the same technique for years all over again. Being there when it matters most, and choosing the right kind of tackle to do the job in order to catch the fish of your dreams, or perhaps the numbers you’ve been waiting for so long. Attracting a fish to show interest in your lure, and make it strike in the end! 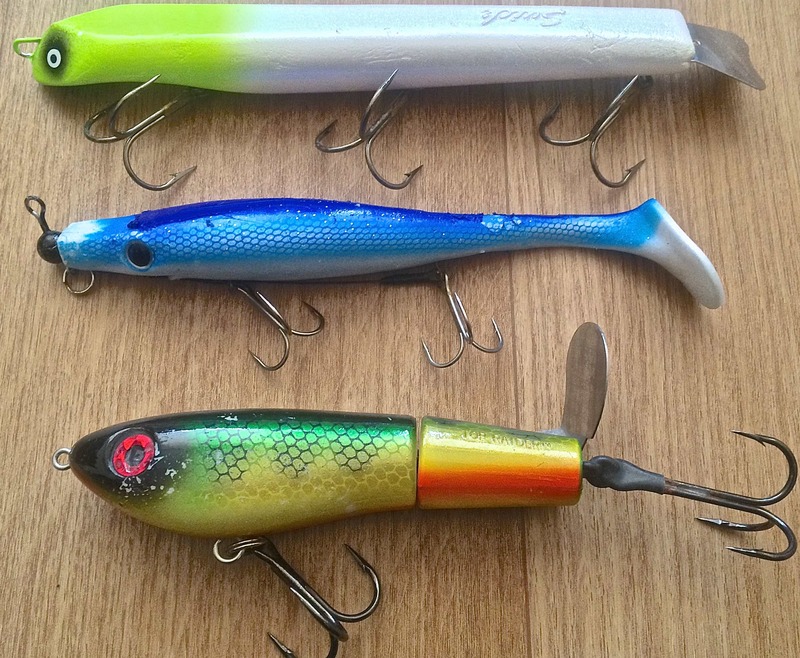 If you find yourself buying new lures in your local tackle shop, you may notice that there are tons of different models, wich each have their own different shape and specifications. If you randomly grab a couple of lures from the shelf you’ll feel that they are not the same. That’s why certain lures catch fish and other don’t. Let’s put it this way, every lure catches fish, while others don’t. Strange scentence isn’t it? How ever this may sound weird to you it’s actually true. I’ve kept fishing reports from my Pike fishery for many years now, and from being on the water all these days I can tell you one thing: not a single day on the water is the same, and not a single day can be compared to any other day. However there are some ”guidelines” that put me onto the right decisions each season, but everything in between remains a mystery, that’s why it’s called fishing! My tackle boxes are full of any type of different lures that you can possibly imagine. Whilst being on the water I always carry a few boxes with lures that certainly produce fish, or have produced fish over the years of usage. I have told myself to take a minimal amount of lures, so only the ones that really matter go with me to the water. In my boxes you’ll find a selective variation of lures that all carry 3 different specifications: Silent lures (no internal rattles), high frequency lures and low frequency lures. Below I’ll tell you everything about them! 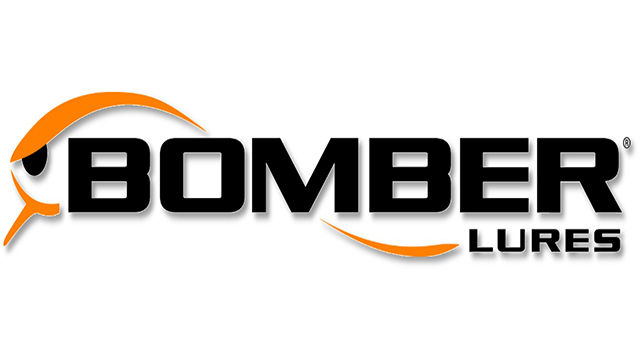 Jerkbaits, crankbaits, softbaits, flies, spinners, topwaters, and the list goes on. There are a lot of different lures that don’t have an internal rattle chamber wich produce sound or makes extra vibrations underneath the surface of the water. The reason why you have the ask the manufacuter! 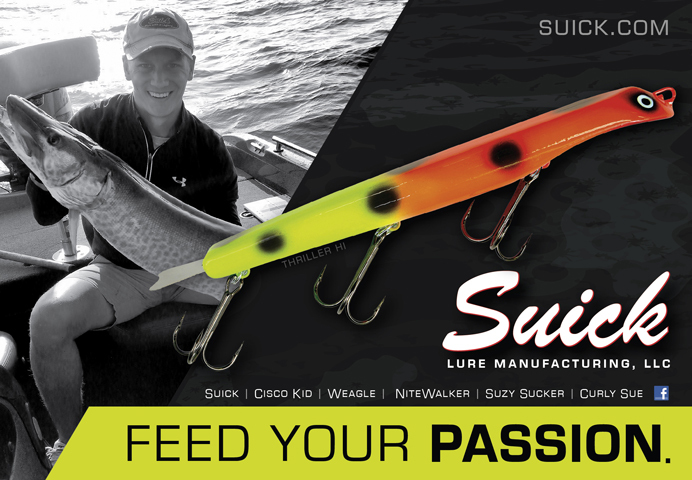 The Suick Thriller for example, is a classic style jerkbait that has been famous for producing big fish over and over again. It might have something to do with the action, or the fact that it’s silent. I tell you what, it’s all about the action on this lure. It has a wobble like no other jerkbait you’ll find out there. And a delicate ”wobble” is often more than enough to trigger any strikes. But why silent lures? On waters where there is a high and consistent amount of fishing pressure, the fish have seen it all. Some are even so clever, they can hear a lure coming from miles away, and then totally ignore it. 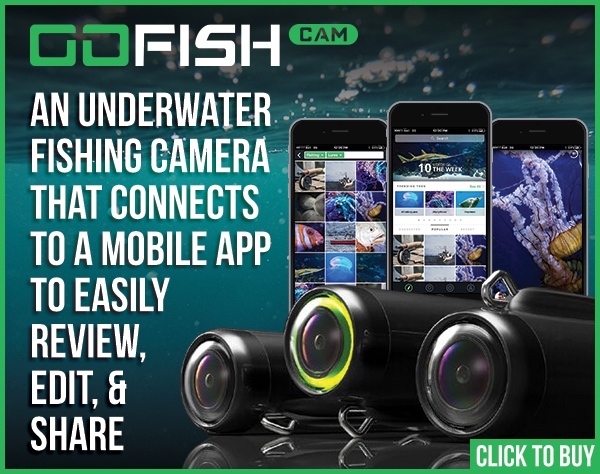 If you own a Waterworlf underwater camera, you can often see any Pike or Muskie swimming nicely and calm alongside a lure. They know the dril. It’s being told that when you catch any Esox, their minds will be totally clear after two days, and that the fish have forgotten about your lure. Sometimes they hit a lure not only about hunger, but of agression, or intimacy. Sound travels far and fast in water, and in crystal clear areas, putting on a rattling lure on your leader can spook more fish than you would imagine. I’ve found out that in certain waters especially Big Pike totally ignore a lure if it contains sound. Vibration is often more than enough. But if everyone would fish with the same lure over and over again, these fish will eventually get used to it. Same goes for Pike flies. If you throw the same flash streamer over and over again, the Pike will recognize it, and it won’t pull out any agression any more. Any will follow for sure, but the attacking mode is left behind. Fish are not stupid, so it’s always up to you to vary in your choise of lures. Don’t forget that hooks will also klinge and that jointed lures like swimbaits for example produce a certain type of klacking sound wich drives fish crazy instead! At the Bigtooth Tackle Company they even invented a revolutionary new bait called the Open water KLACK, so should say enough right? To top it all off, there are topwater baits, who do their own dance, on or just beneath the water surface. It doesn’t matter if the water is 20 feet deep or 5, they will get noticed, simply because they’re high in the water column and will be definately noticed by any active predator lurking in the shadows underneath the surface of the water. Top to bottom: Suick Thriller, Pig Shad Jr, Topraider. Sometimes fishing can be so slow, that your’e nearly falling asleep. Long days on the water and no strike at all, you’ll start to question yourself what you are doing wrong. Probably nothing but fish just don’t want to bite. Periods like this are often present when high pressure conditions move into low pressure conditions and vice versa. Esox are fish that are extremely sensitive on their swim blatter and a change in air pressure can put them off the feed all of a sudden. Since it is known that sound travels a very long way underneath the surface, putting on a high frequency lure can still make your day. 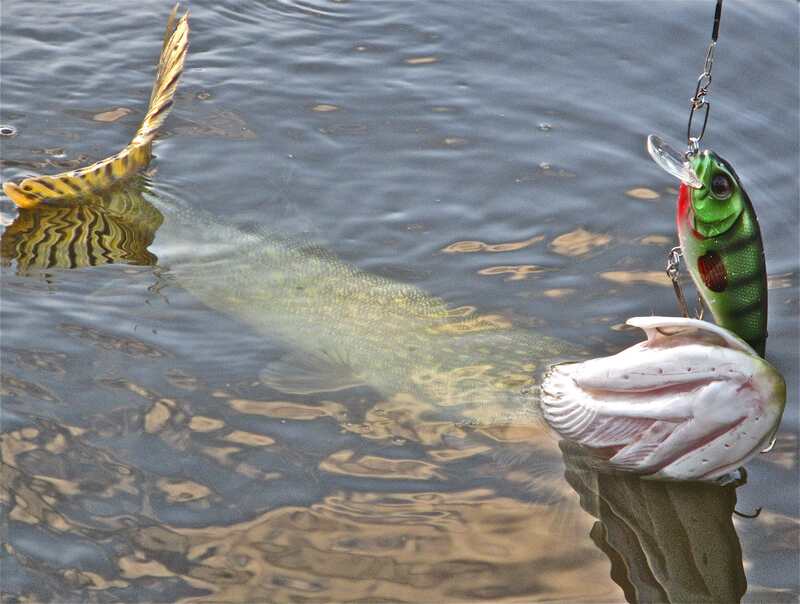 Studies have shown that Pike are very sensitive for lures that produce a high frequent sound. It just totally irritates them, and no matter what, they need to eliminate this sound. Cause that’s what these lures tend to do, drive fish crazy! How to recognize a lure that produces a high sound? Easy, just take one in your hand, and shake! A lure that features one or two small stainless steel balls can already be enough, but the more small balls inside the louder the noise. An example of a few classics are the two crankbaits in the pictures down below. The ShallowRaider and DepthRaider. Made to catch, and developed with just that in mind! The naked truth. Two High Frequency TOP catchers! If your’e a fan of jerkbait fishing glider style, than you’ve probably fished with the StrikePro Buster Jerk. This one has produced so many fish for me over the years, I’ve lost count. If you own one you know what I mean. The reason why it’s so good? Who knows, but there is one thing inside this bait that can be a big game changer sometimes. Inside this lure it’s body are large stainless steel balls, that produce a loud sound. Made from hard plastic, these balls make a ”clicking” (unlike a klacking) noise in the rattle chamber, wich produces a dull sound, and this can be referred as low frequency. In combination with the action and wobble on the pause, it’s a killer lure! A glider in this style is can also be recognized called a ”searchbait”, wich basically means that when you want to know if there is any fish in the area around, you can throw this bait, and if you get any followers, you’ll know that fish are present. When they are not actively chasing your lure, you can activate them by the internal rattles build inside. If you get any response from fish, simply put on the lure you’ve intended to fish with in the first place, and it make it work! Another example of lure this type, is a crankbait made by Westin under the name ”Rawbite”. This one has some kind of the same noise as a Buster Jerk. But why the comparing of a jerkbait versus a crankbait? Easy. On some days, the Pike only want one thing. I don’t know exactly what causes it, but I’ve found out that when there is somekind of cold-front approaching in winter, the fish can be really hard to catch. Where high frequency lures produce good numbers in summer and fall, low frequency lures catch more fish in winter and spring. It crossed my mind various times what could cause this, but it’s hard to say. Perhaps it has something to do with the temperature of the water, and neutral fish or negative fish just like it this way. But it’s certainly something to keep in mind! Another example of a low frequency lure is the 6” Grandma. Both the deep diver, as well as the flanker produce this same sound! The internal body of a Westin Rawbite. Inside a Strike Pro Buster Jerk. You can clearly see the rattle chamber. 6” Grandma flanker & deepdiver. 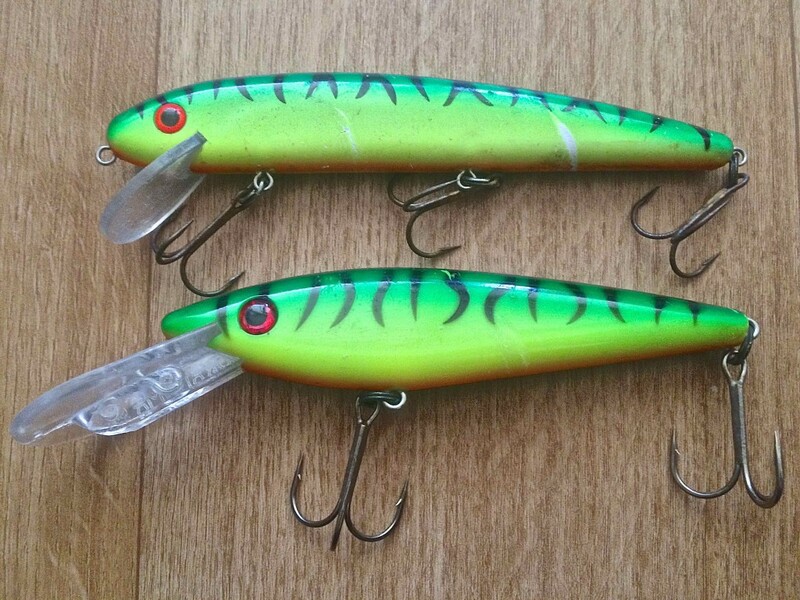 Two low frequency crankbaits. Now you know all about Sound, Vibrations & Esox. Next time you go fishing, take a look inside your tackle box, and compare your lures to one and other, you’ll be surprised what’s in your arsenal. 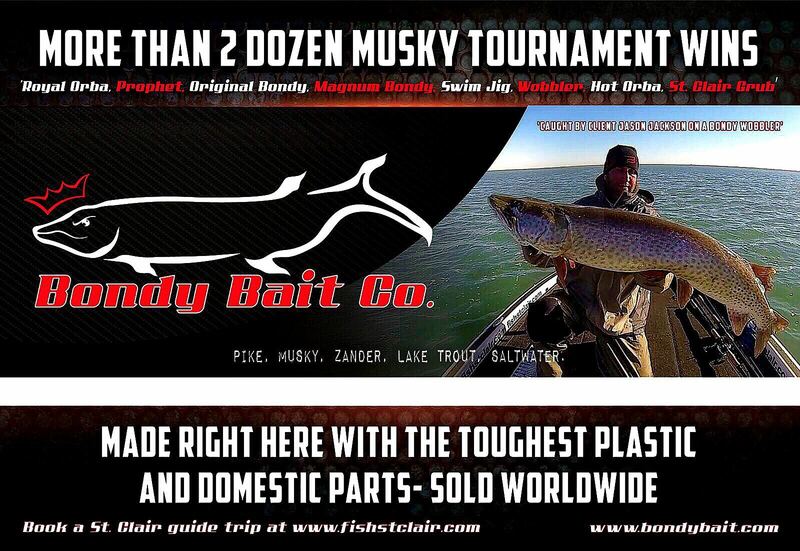 If your are a fan of fishing with softbaits like the Pig Shad, or perhaps a Bondy Bait or a Curly Sue, and you want to take them to the next level, get some glass rattling tubes at your local tackle store. They come in all shapes and sizes and are easy to put in the soft plastic body. Simply push them in, and seal them off with a bit of Mend-it or superglue for example. Who know it might be just that what the fish want the next day you’ll go out on the water. Varation is key, and the more you do so, the faster you stumble upon a pattern that works. The speed on wich you work a lure, may depend on the circumstance. The faster you go, the more action you can give to it. But be carefull not to over-run your lures, because otherwise the natural action will be lost. Try out different things and find the magical bait that works for you the time being near or on the water and take the most out of your fishing days. Goodluck! !